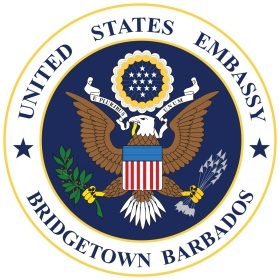 On 25-26 August the US Embassy Bridgetown hosted a 2-day workshop for police prosecutors and inspectors on case management and trial preparation. The National Centre for State Courts and MetroStar organised the workshop. The US law enforcement and prosecutorial advisors leading the course used CBSI-Connect, a virtual learning platform developed by MetroStar and funded by the Office of International Narcotics and Law Enforcement Affairs (INL). This unique platform enabled 69 police prosecutors and inspectors from Barbados, Grenada, St Kitts and Nevis, St Vincent and the Grenadines, and Antigua and Barbuda to participate in an inter-active workshop designed to improve their investigative and prosecutorial capacity. The workshop is part of a broader training program for police prosecutors tasked with prosecuting the majority of criminal cases in magistrate courts throughout the region. INL sponsored this initiative through its Justice Sector Assistance Programme under the Caribbean Basin Security Initiative (CBSI). The program facilitates regional, sub-regional, and country-specific training initiatives. It also provides technical assistance and mentors judges, prosecutors, lawyers, and law enforcement officials to build their capacity to investigate, prosecute, and adjudicate complex criminal cases. The Justice Sector Assistance Programme also conducted a 3-day Trial Advocacy Workshop for Barbados police prosecutors on 9-11 February 2018.